Greenleaf Book Group Press, 9781626343092, 376pp. Seven years after the death of Arthur Pendragon, Sir Percival, the last surviving knight of the Round Table, returns to Albion after a long and futile quest for the Holy Grail. The peaceful and prosperous home that he left a decade earlier is no more. Camelot has fallen, and much of the Pendragon's kingdom has been subjugated by the evil Morgana and the Norse invaders who once served under her banner. Although the knight desires only to return to his ancestral lands and to live in peace, he vows to pursue one last quest before he rests to find Guinevere, the Queen of the Britons. This journey will force the knight to travel the length and breadth of Albion, to overcome the most fearsome and cunning of enemies, and to embrace a past that is both painful and magnificent. 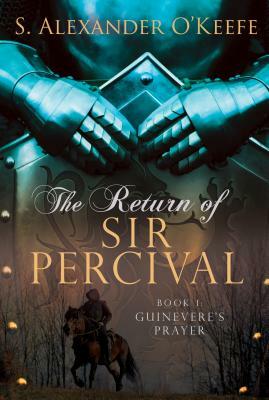 The unique vision of the Arthurian world brought to life in S. Alexander O Keefe's The Return of Sir Percival takes readers on a journey that is as enthralling as it is memorable. S. Alexander O Keefe was born in Providence, Rhode Island. He is a graduate of Dartmouth College and Fordham University School of Law, and he practices law in Newport Beach, California. Mr. O Keefe and his wife, Cathy, who live in Irvine, California, have three children. The Return of Sir Percival is Mr. O Keefe s second novel."